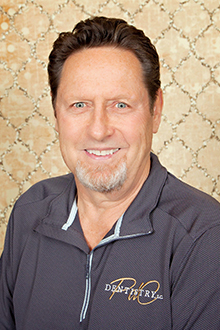 Wayne Hanson, DDS, has owned PdC Dentistry, S.C., formerly McKeever Dental, S.C., since 1996. Upon meeting Dr. Hanson you will see his passion for dentistry and commitment to his patients and the community. Dr. Hanson grew up in Savanna, Illinois and after graduation he attended the University of Wisconsin Platteville. Dr. Hanson then attended Loyola University, School of Dentistry. Dr. Hanson has completed numerous hours in lecture and hands on continuing educational courses. Dr. Hanson stays abreast of the latest advances in dentistry with memberships to the Wisconsin Dental Association, American Dental Association, International Association of Orthodontics, American Association of Functional Orthodontics, Academy of General Dentistry, and the Southwestern Dental Society. Dr. Hanson is also a member of the Prairie du Chien Chamber of Commerce. Dr. Hanson lives in Boscobel, WI with his fiancé, Michelle and their golden retriever, Bucky. Dr. Hanson enjoys volunteering and has participated in several mission trips to Central America. In his spare time, he enjoys traveling and spending time with his 3 children; Krista, Kaylea, and Erik and his granddaughter Cora (Kaylea’s daughter). Dr. Hanson loves the natural beauty that the driftless area has to offer. He enjoys fishing and camping as well as spending time on his farm located in Mt. Hope, WI. Dr. Johnson was born in Richland Center, WI and completed her undergraduate studies in Biomedical Science at Marquette University. A former dental assistant at PdC Dentistry, she returned as a dentist following her graduation from Marquette University School of Dentistry in 2015. 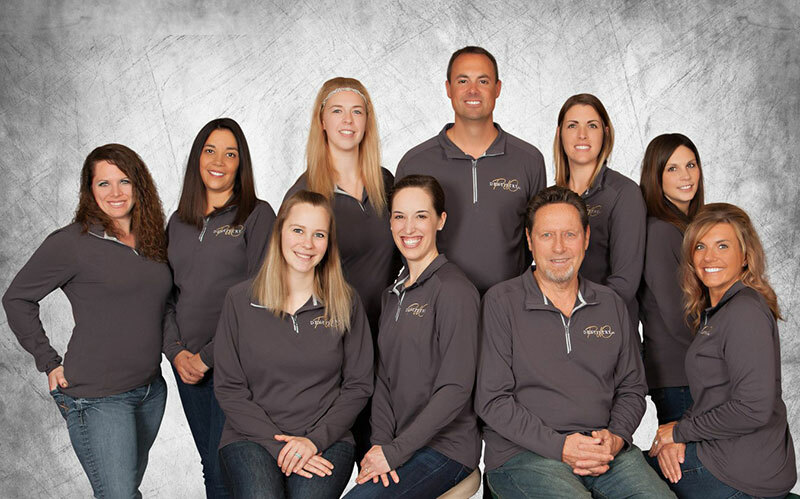 Dr. Johnson has a passion for providing quality family dental care within a comfortable and friendly setting. Dr. Johnson enjoys spending her free time playing volleyball and enjoying the outdoors. She enjoys spending time with friends, family, her church family, and fiance’, Nick. She looks forward to their wedding Sept. 2018. Dr. Johnson is a member of the Wisconsin Dental Association, American Dental Association and the Southwestern Dental Society as well as the Great River Oral and Maxillofacial Surgery Implant Study Club in Dubuque. As someone that highly values continuing education, she makes it a point to attend the Chicago Midwinter Meeting annually as well as other courses throughout the year. Some of her favorites have been hands-on practical clinical courses with Gordon Christensen and Rondeau Ortho seminars. Kelly graduated from Sun Prairie High School in 1998. 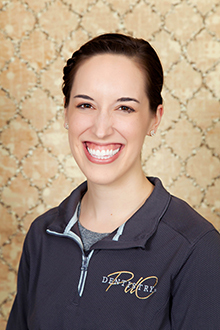 Kelly then began her career in the dentistry field as a dental assistant in Madison, WI, in 1999. 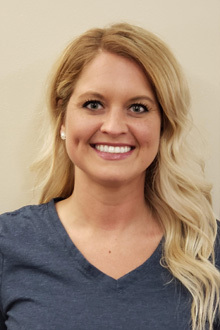 Kelly continued to work as a dental assistant until graduating with her Associate Degree in Dental Hygiene from Madison Area Technical College in 2003. 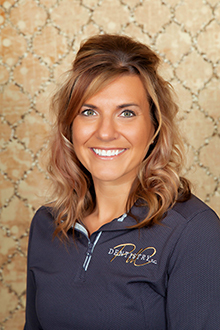 Kelly then relocated to the Prairie du Chien area with her husband, Bjorn, to work at PdC Dentistry, S.C. in June of 2003. Kelly is a member of the American Dental Hygiene Association and attends many continuing education seminars to stay ahead of the latest advancements in the dental hygiene field. Kelly enjoys keeping busy with the many activities her children, Colton and Avery are involved in. In her spare time Kelly enjoys cooking, traveling, watching sporting events (especially her children’s), and spending time with family and friends. Vanessa grew up in Eastman, WI and graduated from Prairie du Chien High School in 2005. Vanessea moved to Madison where she earned her Dental Hygiene license in 2009. Vanessa has worked in the area for the last 10 years as a Dental Hygienist. Vanessa was also a dental provider for the “Teeth For Life” program in Grant County, where she took her services into the schools to make sure every child received the dental care they deserved. During her career, Vanessa has also been trained as a dental assistant, which helps her to easily describe procedures to patients in order for them to feel more at ease. Vanessa and her husband Dustin live in their hometown of Eastman. She loves to golf, go to Packer games, sing karaoke and spend time with their dogs. She also enjoys playing on her summer volleyball team. Bjorn grew up in Volga, South Dakota prior to moving to Wisconsin in 2001. He graduated from Upper Iowa University with a bachelor’s degree in Business Administration. 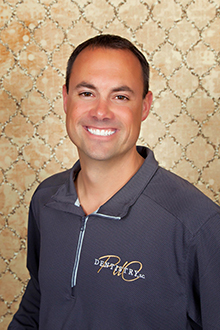 Bjorn and his wife, Kelly have lived in Prairie du Chien since 2003 when he became the Office Manager at PdC Dentistry. Bjorn has enjoyed watching the practice grow through the years, implementing all the new technology to better serve our patients. Bjorn loves spending time with his wife and children, Colton and Avery. Bjorn has enjoyed coaching baseball and basketball in the community for many years. Bjorn’s hobbies include hunting, traveling and attending his children’s many activities.